One or more photo(s) has been virtually staged. You can have it all in this impressive LAKEFRONT HOME on the skiable DEEP LAKE. Elevate to an UNMATCHED LIFESTYLE filled with lake living. This IMPRESSIVE POOL HOME offers extraordinary LAKE VIEWS, a PRIVATE FULLY EQUIPPED IN-LAW SUITE, PRIVATE COVERED DOCK with BOAT LIFT, AIR-CONDITIONED WORKSHOP, & much more. This architecturally unique WATERFRONT home features a bright ideal floor plan with HIGH CEILINGS, CROWN MOLDING, HARDWOOD FLOORS, an impressive fireplace, a curved staircase, & sweeping views. The spacious kitchen is designed with the home chef in mind with GRANITE COUNTERTOPS, CENTER ISLAND COOKTOP, CASUAL DINING NOOK with brilliant LAKE VIEWS, and a WALK-IN PANTRY. PRIVATE MASTER RETREAT with beautiful VIEWS OF THE POOL & THE LAKE plus access to the balcony off the spacious seating area or flex space. Additional BONUS AREA upstairs perfect for FLEX ROOM or anything your heart desires include a WET BAR and an elevator, wheelchair accessible. Attached to this home is also the perfect IN-LAW SUITE or GUEST QUARTERS with private entry, family room, FULL KITCHEN, and a large separate bedroom & full bath. Gather with guests and enjoy family cookouts in the enclosed lanai & IMPRESSIVE BACKYARD plus spend sunny days lounging by the SPARKLING POOL. Sunset cruises, skiing, paddle-boarding, fishing & more are just a few steps away with your PRIVATE DOCK. 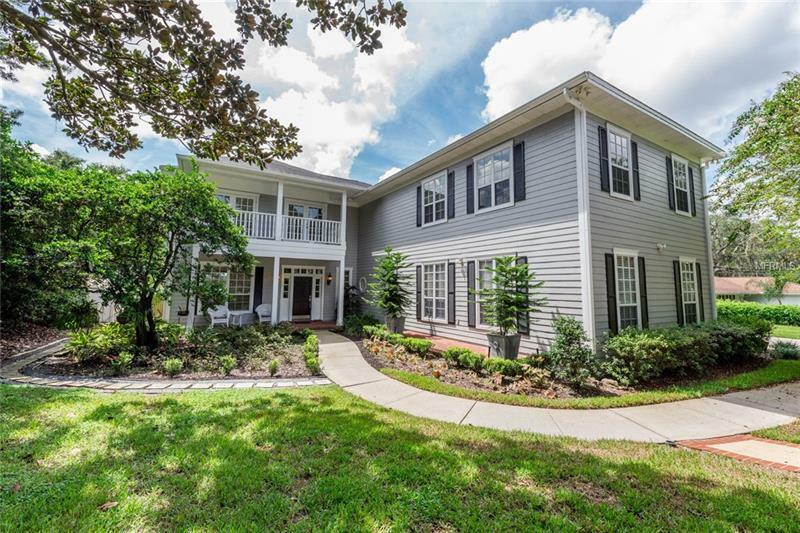 With highly desired SEMINOLE COUNTY SCHOOLS, close proximity to Trinity Preparatory and Masterâs Academy. Enjoy the LAKE LIFESTYLE & make this home yours!